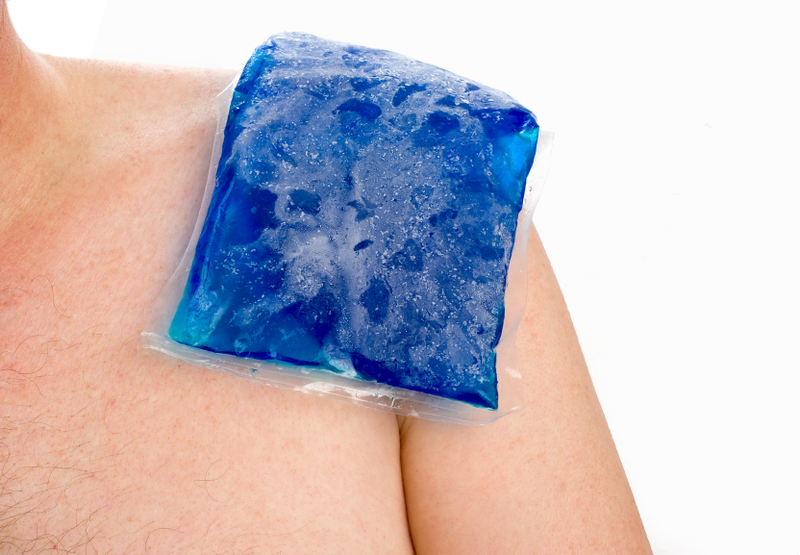 Using ice or heat to treat pain or injury. One of the first things people seem to reach for when injured, in pain or perhaps suffering from swelling is ice or heat but do you know whether this is beneficial or not to the area of the body that is affected? Firstly, it is worth knowing that ice and heat have both been used for hundreds of years to alleviate soreness and pain. Logically, before modern day times, the cool river waters were soothing and the warm sunshine always helps to make us feel better just as much now as it did hundreds, if not thousands of years ago as it radiates vital vitamin D (among other vitamins) – good for bones and other areas of the body. Both heat and cold are seen as solid methods for aiding an injury but we shouldn’t rely on these in their entirety and sometimes, used in the wrong instance they can do more harm than good so it is a good idea to understand when to apply these different treatments to a trauma. Heat treatments are used for muscular inflammation and pain or are ideal for stress relief. Please be aware you should never use heat after a serious injury, or after stimulation such as sporting activity. Heat treatment should only be used for persistent problems as it will enable relaxation and loosening of tissue as well as encouraging blood into the affected area which stimulates nutrients and oxygen to attend the affected tissue and aid in faster healing. If you can, administer heat treatments in the first 72 hours following inflammation. When applying heat, you can use special tissues which can be purchased from a pharmacy or similarly a heat pad or heat-releasing ointment. If none of these are at hand then a hot, damp towel will suffice – but make sure (as with all other heat treatments) that it is not too hot or you run the risk of developing a burn, equally a heat treatment should not be left on the area while you are resting or sleeping or for any other long periods of time. For further information please contact Active Physiotherapy and always seek medical advice for accident or injury.